Ballet is not my forte. I do enjoy classical music, and some of my favorite pieces are from ballets (mostly some pieces from Tchaikovsky's Romeo and Juliet and Swan Lake, and of course The Nutcracker). 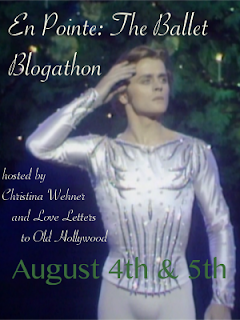 So why did I choose to join a blogathon devoted to ballet? Because I'm addicted to blogathons, that's why. 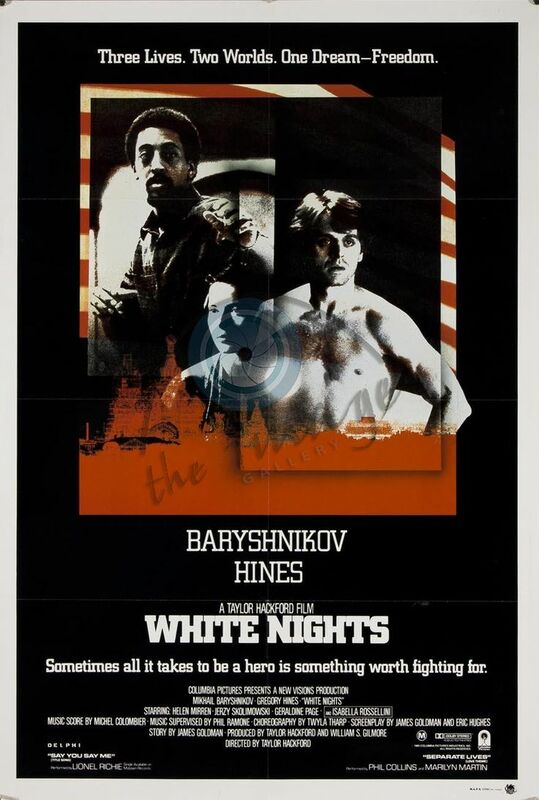 And also because one of the best movies to address the issue of defection by Soviet citizens in the 80's was White Nights, which actually featured ballet dancer and Soviet defector Mikail Baryshnikov. It also gave me an opportunity to educate myself in an art that I've neglected. 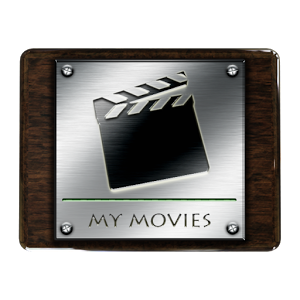 An interesting note to this movie. Usually at the time it was made, if scenes were supposed to take place in Soviet Russia, Helsinki, Finland would substitute as the location. In this instance, however, the director, Taylor Hackford had hired a Finnish film crew and, under the pretense of filming a travelogue, had gotten real scenes of the real Kirov Theatre, the real statue to Lenin, and real interior scenes from a real state limousine driving down real streets in Leningrad. This caused a bit of consternation later when Hackford was criticized for the "usual" dreary Helsinki locations, but could not admit the truth because it would have compromised the Finnish crews position to be able to film more in Russia. Hackford also met the love of his life in the process of making this movie. They began a relationship shortly after this movie which culminated in marriage in 1996, and a seeming rarity in Hollywood circles, is still going strong 30 years later. In the 1980's, Soviet Russia frowned on deserters from the "idyllic" nation they had created. And yet, many people who lived the "good life" under Communist rule sought to leave this "paradise". 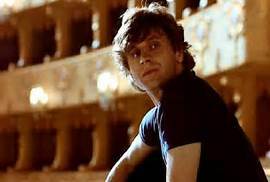 One of these was Nikolai Rodchenko (Mikhail Baryshnikov, who was himself a defector), a fantastic ballet dancer who had defected from Russia some eight years previous to the events in this movie. The movie opens with a performance by Rodchenko and an unnamed ballerina played by Florence Faure. The piece is from a ballet called "Le Jeune Homme et La Mort". Following his performance Rodchenko boards a plane bound for Tokyo. But complications cause the plane to have to land prematurely. And in all places, it has to land in Soviet Russia. Rodchenko, typically, is not excited about this. 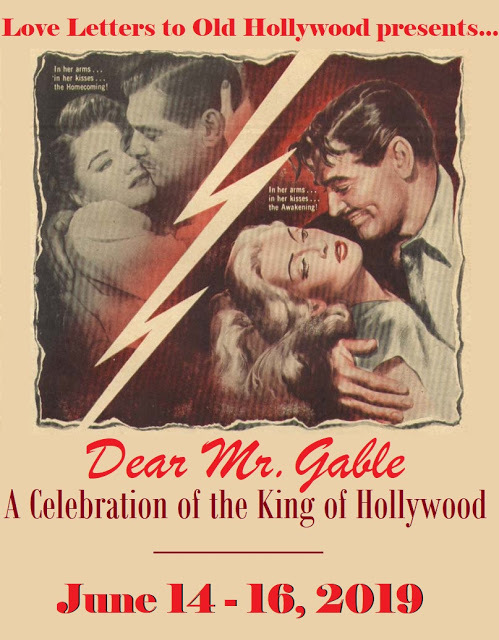 He panics and tries to destroy his passport and all evidence of who is, despite the efforts of his manager, Anne Wyatt (Geraldine Page), to calm him down. 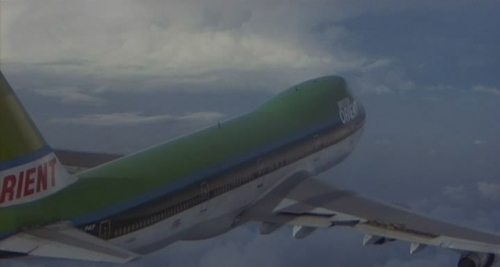 The plane, with heroic efforts by the crew to prevent disaster, does land., although badly damaged. In the course of the movie we learn that there were several injuries, and that four had died, but considering the situation, it could have been worse. Rodchenko does survive, although severely injured, but he is in trouble, because it seems that the KGB, represented by Colonel Chaiko (Jerzy Skolimowski), has discovered his real identity. As a defector, Rodchenko is a criminal in his former country. He was tried and convicted, in absentia, and sentenced to 15 years in prison. But the government has special plans for Rodchenko. They want him to perform at the opening ballet at the Kirov, for propaganda purposes. As a result, instead of going to prison, he is essentially locked into a different prison. 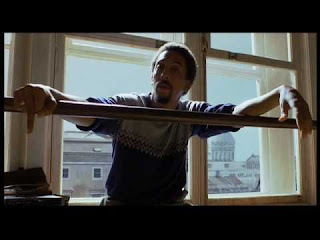 Raymond Greenwood (Gregory Hines), a former US citizen who had previously defected to Russia, is given the task of being Rodchenko's watch dog, and to get him trained and in shape to be at the premiere. Relationships between Rodchenko and Greenwood are rough at first, mainly because Greenwood just wants to toe the line so he can improve his position with the Soviet government. Additionally, a former lover of Rodchenko's, Galina Ivanova (Helen Mirren), comes aboard to try to convince Rodchenko to play ball. Spoiler Alert! The story ends, as you would expect, with Rodchenko finally making it to safety. The denouement seems a little contrived to me, however, as if it was added at the last minute, although I really doubt it was. In the end, Rodchenko and Darya are safely on the American side wile Raymond, who had stayed behind to ensure their successful escape was captured by the KGB. But in an effort to give the film a really happy ending, Raymond, at the end, is traded for a Soviet prisoner from the American side and the movie ends with Greenwood and Rodchenko greeting each other as the Lionel Ritchie song "Say You, Say Me" plays. Well folks it's time to dance off into the sunset. Enjoy the ride home. I thought I knew what this film was about, but I was completely wrong. I also had no idea Isabella Rossellini and Helen Mirren were in this, so now I'm definitely determined to see it. Thanks for bringing White Nights to my attention, and for bringing it to the blogathon! I hope you enjoy it. It's better to be in the right frame of mind when watching it, I think. 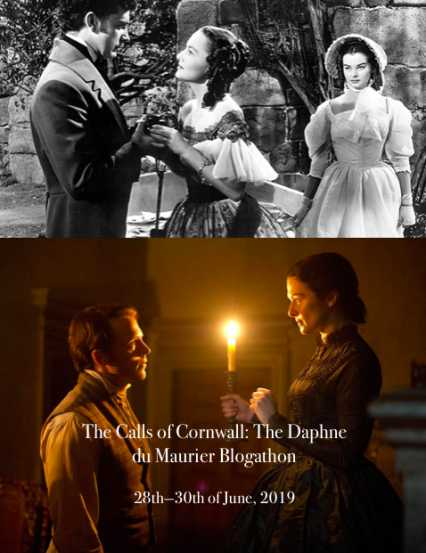 Like most movies about defectors, you have to be able to visualize the era of its time. Post-glasnost it is sometimes hard for people 20 or more years younger than me to really see the prevailing sentiments of the time. I hope you enjoy it. Thanks for reading. Baryshnikov's panic on the plane makes my stomach tighten it feels so real. Considering he only hadto visualize it being for real, it wasn't too much of a stretch, but it is a great scene. Thanks for reading. What a great choice! I want to see this again now. 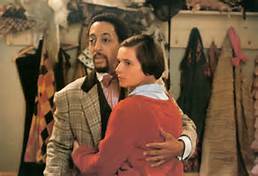 When I first watched it, it was because I wanted to see Gregory Hines in a film, who I had recently been reading about, but it was so fun to see him and Baryshnikov dance together with their own unique styles. They both have so much charisma. I've seen Hines in several movies. First saw him in "The Cotton Club". This one is pretty emotional. Thanks for reading. This is one of those movies worth watching again. I actually hadn't seen it since I watched it at the theater. 30 years later its still has impact. Thanks for reading. 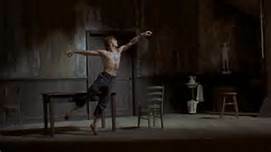 There are some great dance sequences, but what got me interested was the story. I love 80's movies that deal with East/West relations. Probably why I love James Bond movies from that era so much. Thanks for reading. Have not seen this one for years...I remember liking it a lot. 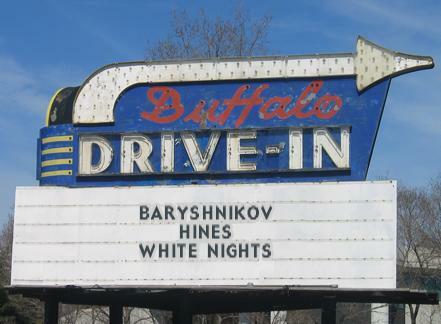 Baryshnikov was actually a good actor, too, he was nominated for a Best Supporting Actor Oscar for a movie called The Turning Point about a decade earlier. Ned to see White Knights again now! It was 33 years between viewings for me. So its never too late to watch again. Thanks for reading. I'm sure I've seen the opening performance with my mother, but I haven't watched the whole movie. 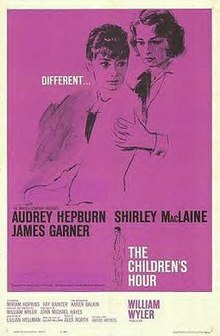 Now that I wrote abvout ballet and the Soviet Union, I'm more than interested in this film. Post- Glasnost, it seems like a relic politically, but it is still fascinating. 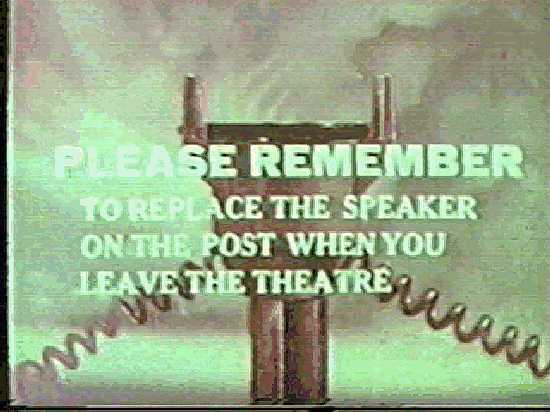 Of course, I grew up in that era so it is easier to watch and accept the prevalent political themes. Even if you just watch for the dance sequences, however, its still good. Thanks for reading.